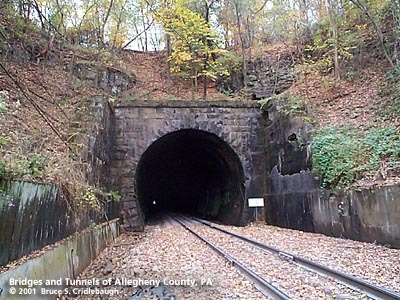 This portion of the railroad was built by the Pittsburgh, Bessemer and Lake Erie Railroad. It opened in 1897 with the completion of the high bridge over the Allegheny River in Harmar (replaced 1918). The portion of the rail line from North Bessemer in Penn Hills to East Pittsburgh was leased in 1906 and later sold to the Union Railroad. "The Union Railroad, as it exists today, has resulted from the union of all or parts of five railroads between the years 1906 and 1915. The first addition occurred in 1906 when a portion of the Pittsburgh, Bessemer and Lake Erie Railroad, extending from North Bessemer to East Pittsburgh, was leased to the Union Railroad. 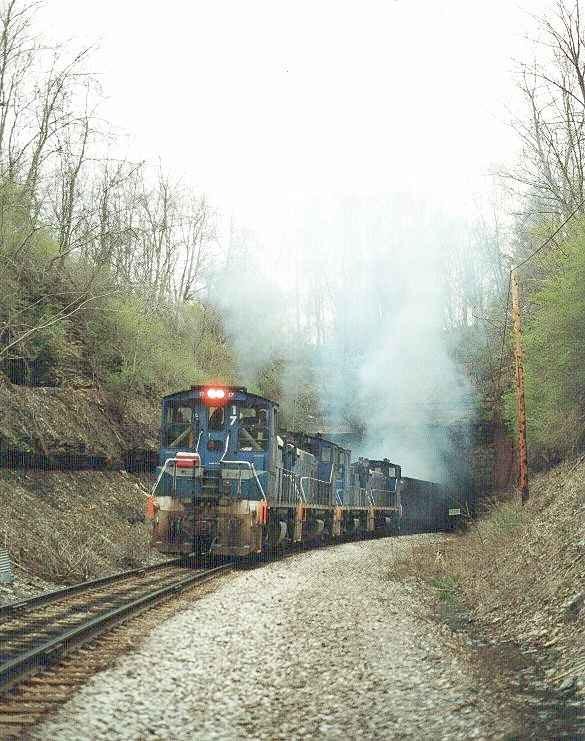 Later in 1906, the railroad leased the Monongahela Southern Railroad. The next addition involved the St. Clair Terminal Railroad in 1920. All three properties were subsequently merged. 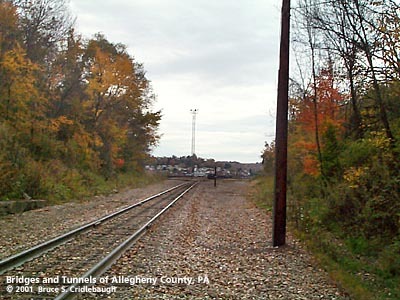 The last addition occurred in 1915 with the lease of track from Duquesne to McKeesport via the Penn Central Bridge. 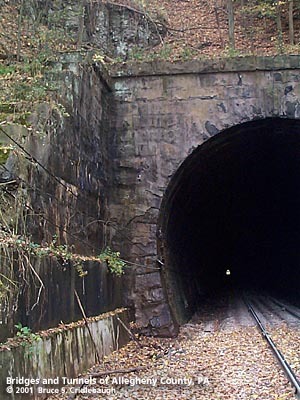 The original URR extended from East Pittsburgh to Hays, a distance of six miles, and was constructed in the years 1894-1907. During the same period, 13 branches, with an aggregate length of 14 miles were built. Operations began on June 1, 1896, with 241 employees, 25 steam locomotives and no cars. On October 26, 1897, the first train was interchanged with the Pittsburgh, Bessemer & Lake Erie Railroad at East Pittsburgh. This 30-car ore train from North Bessemer was consigned to Edgar Thomson."